This is a great idea: Monkey Shoulder Whisky are holding special events every Friday night for three months, each with a different venue, theme, dress code and drinking experience. 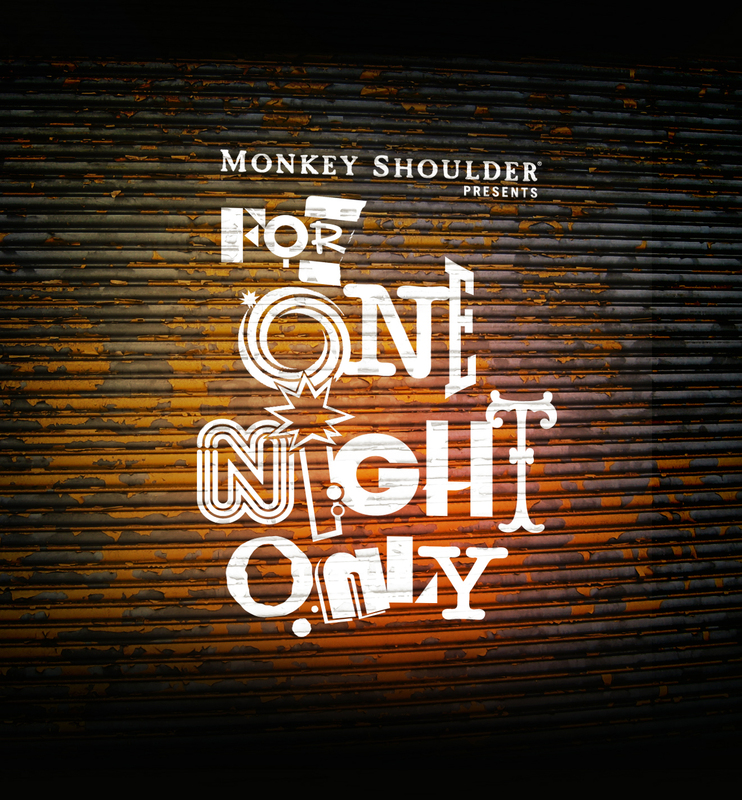 "Monkey Shoulder Whisky brings you a series of underground, one-off events. We’ll be transforming empty, disused spaces around London and turning them into entirely different drinking experiences, once a week for three months. Each week different whisky cocktails will set the theme for the night. Subverting connotations in a unique For One Night Only event that's part art installation, part adventure playground for adults. We'll be harnessing the power of London's young to bring you an unforgettable interactive night, celebrating classic whisky cocktails in unconventional ways imaginable. You'll be able to explore, engage and provoke all your senses through the help of a network of designers, artists, bartenders and other creatives. We'll be teaming up with the likes of Lomography who'll be helping us re-interpret the meaning of 'Old Fashioned' and One Dot Zero who'll be pushing boundaries with a cutting edge, digital celebration of what a “Blazer” might be. Above all, you'll be encouraged to have fun, re-discover your inner child and push your playfulness to the limit. For One Night Only will run throughout September, October and November, providing topical serves to celebrate everything from London Fashion Week to Halloween and Bonfire Night."